A casein-free diet is an eating plan in which milk protein (casein) is eliminated by removing all dairy products from the diet. It is often, if not always, used in combination with a gluten-free diet, which calls for the elimination of wheat, barley, rye, oats, and any products made from these grains. Both diets are called elimination diets because a particular type of food is virtually eliminated from the child’s meals. Proponents of the casein-free diet say that many children with autism have gastrointestinal difficulties that make it hard for them to digest milk protein properly. There are different possibilities for ways in which this could affect children with autism. 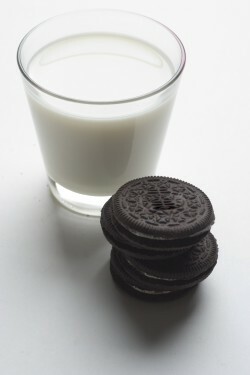 The most studied theory is that eating or drinking milk protein leads to high levels of protein by-products, called casomorphines, in some children with autism. These by-products may then affect behaviour like a drug would. Specifically, in these children, casomorphines could reduce their desire for social interaction, block pain messages, and increase confusion. If milk protein is taken out of the diet, the idea is that this will reduce the level of casomorphines, and behaviour will improve as a result. Parents who choose a casein-free diet for their child must become aware of the ingredients of everything in their grocery cart. Products containing milk or milk proteins including butter, cheese, yogurt, cream, ice cream, Pediasure, casein, or caseinate in any form should not be purchased. Maintaining a milk-free diet can be hard at first because milk or casein is present in many prepared foods. However, parents can take a casein-free cooking class or read a casein-free cookbook to learn how to cook without milk protein and still provide enough nutrition for the child. In support of this theory, injection of casomorphine in animals activates areas of the brain that have been reported to be involved in autism. Moreover, there is evidence that blocking at least some of the action of casomorphine improves the behaviour of children with autism. Finally, recent evidence of a genetic mutation common among children with autism has been traced to a gene involved in gastrointestinal function. Regardless, in both cases, the tested diets were casein- and gluten-free, so it is not clear whether it was the elimination of casein, gluten, or both that resulted in any improvements. In a third study that examined the effectiveness of a casein-free diet alone, children with autism were tested for food allergies and pre-selected for sensitivity to milk. Any other foods to which the children were allergic were also removed from the diet for 8 weeks, and significant behaviour improvements resulted. Lucarelli, S., et al. 1995. “Food allergy and infantile autism.” Panminerva Med. 37(3):137-141.